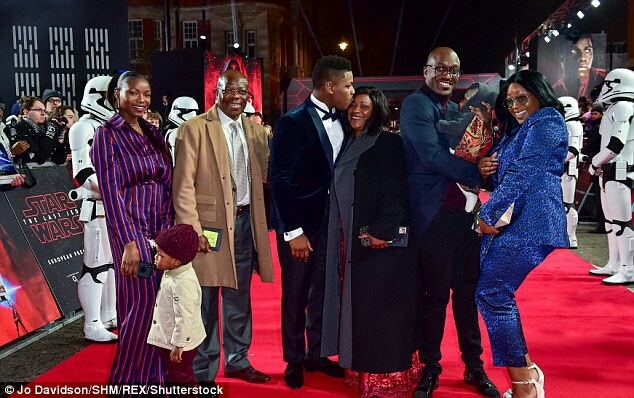 Star of the blockbuster sci-fi, Star Wars; The Last Jedi, John Boyega hit the red carpet of the movie premiere in the UK on Tuesday in company of his immediate family. 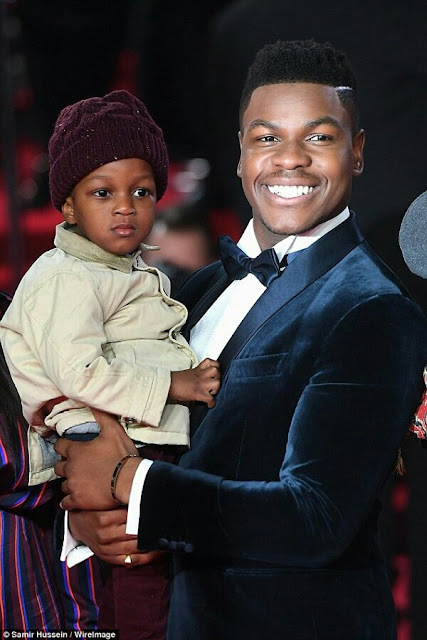 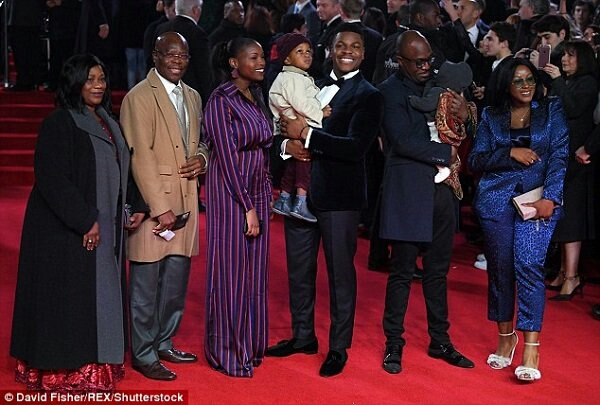 The South London born actor took his British-Nigerian parents, Samson and Abigail Adegboyega, his sisters Blessing and Grace and his nephews; JJ and Ezra to the movie premiere. 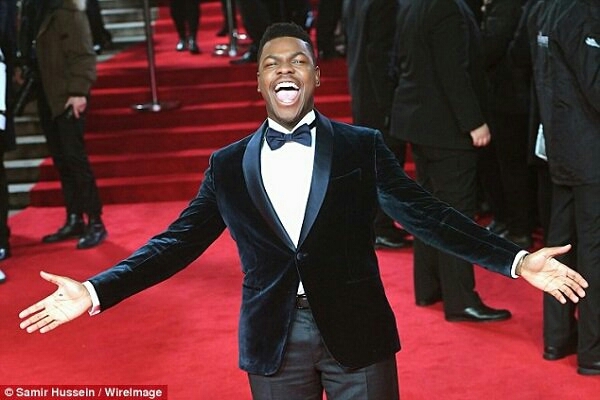 Obviously, they are happy....for the boy is doing great! 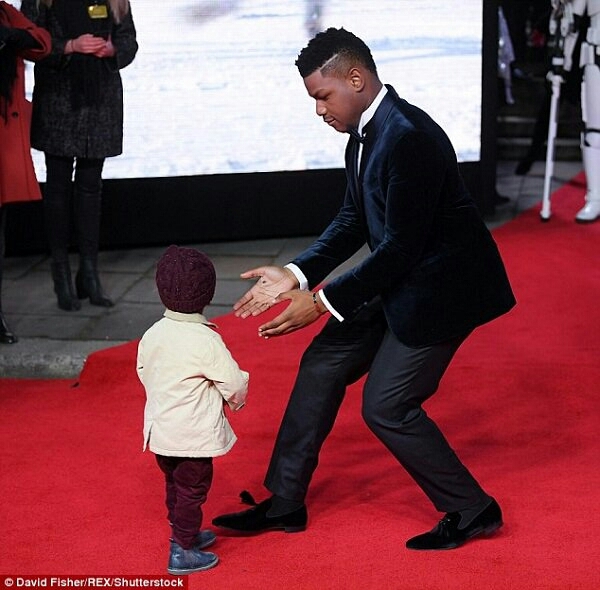 0 Comment to "Hollywood actor, John Boyega: My family is here..."